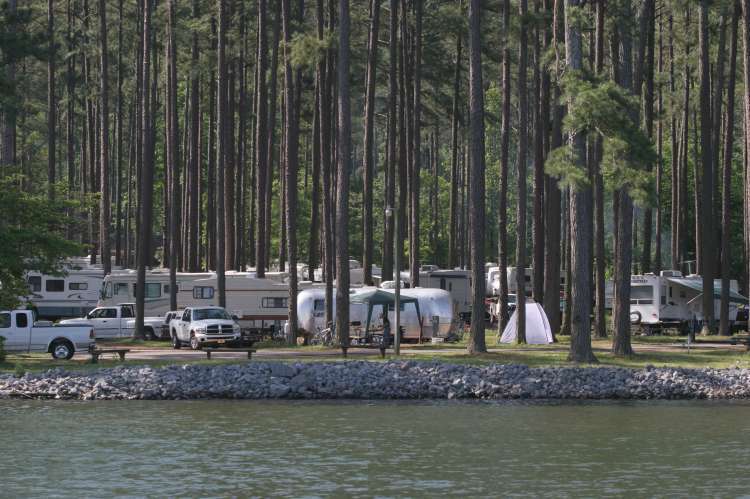 A municipal park resting on a 368-acre peninsula offering golf, camping, cottages, lodge, restaurant, picnicking, pool, nature trails, marina with boat launch (fuel for boats and tackle shop) and amphitheater. Colony Golf Course: 18 Holes, 6,854 yards, par 72. 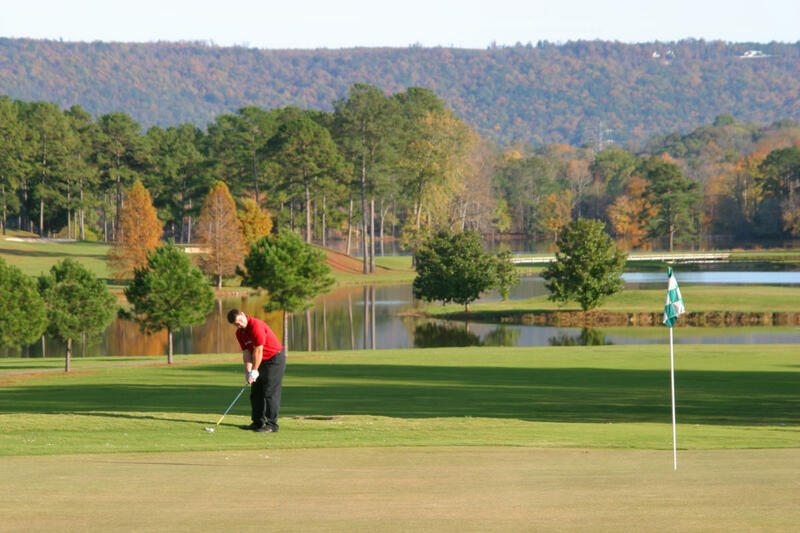 Rated a #1 Resort Value in Alabama and listed in Golf Digest’s Places to Play. Plantation Golf Course: 18 Holes, 6,901 yards, par 72, links-style course, Bent Grass greens, driving range, pro shop, snack bar, and putting green. Meeting facilities, tournaments welcome. Open year-round.